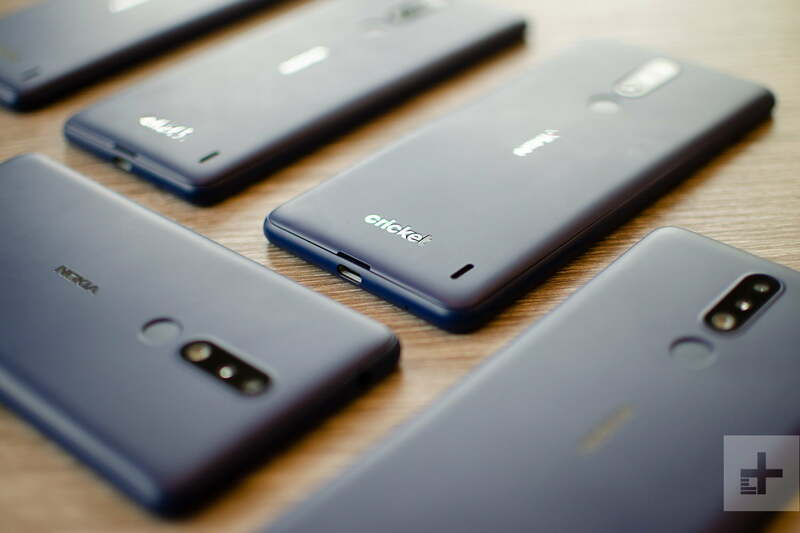 HMD Global, the Finnish startup creating Nokia-branded smartphones and feature phones, is expanding its presence in North America with its first carrier partnerships this side of the Atlantic. Three phones — all slightly tweaked from their existing international variants — are respectively arriving at Rogers Wireless in Canada, as well as Verizon and Cricket Wireless in the U.S.
We recently wrote about how HMD is planning to ramp up its presence in the U.S. this year, seeing it as a critical market for the two-year-old startup’s growth. 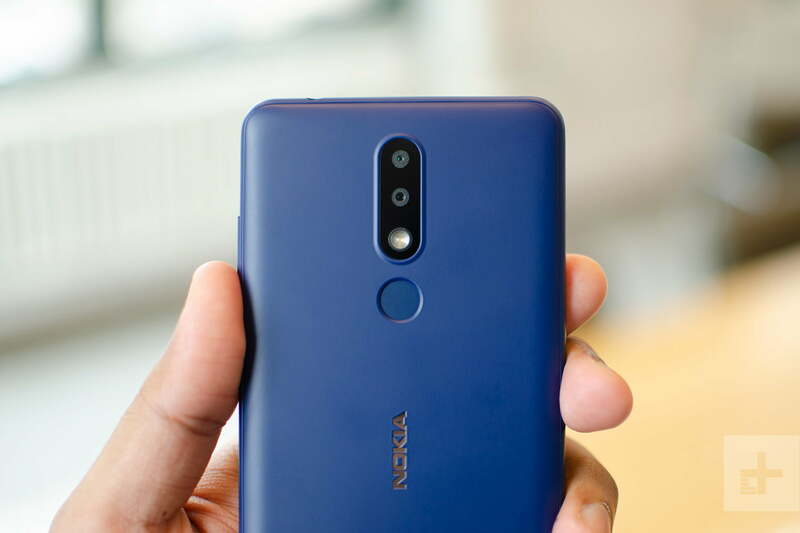 The company already sells a handful of products at retailers like Amazon and Best Buy — these include the Nokia 1, Nokia 2, Nokia 3.1, Nokia 6.1, Nokia 7.1, and the Nokia 3310. These phones all cost under $350, and it’s an area HMD thinks it can succeed in. But most people in the U.S. buy phones through carriers, which is why HMD’s latest partnership is crucial. It brings the Nokia brand back into the U.S. public’s consciousness. The first partnerships bring the Nokia 2V to Verizon (a variation of the international Nokia 2.1), the Nokia 3.1 Plus to Cricket Wireless (a variation of the international model, which shares the same name), and the Nokia 2.1 (international variant) to Rogers Wireless in Canada. “This is just an initial step and big step into the U.S. market,” Angelone said. What happens to the unlocked Nokia phones currently sold at retailers? Angelone said HMD still remains very committed to its open market phones and expects to grow its product portfolio in this space over the coming months while expanding the price points. So you’ll still be able to buy unlocked Nokia phones — and potentially new devices — soon. But there is a major difference between HMD’s open-market phones and those now being sold through North American carriers — they are no longer a part of the Android One program from Google. As a refresher, almost all Nokia phones in 2018 launched under the Android One program, which promises fast version and security updates straight from Google. It also offers a clean and uncluttered stock Android experience — bloatware free — for the best user experience. 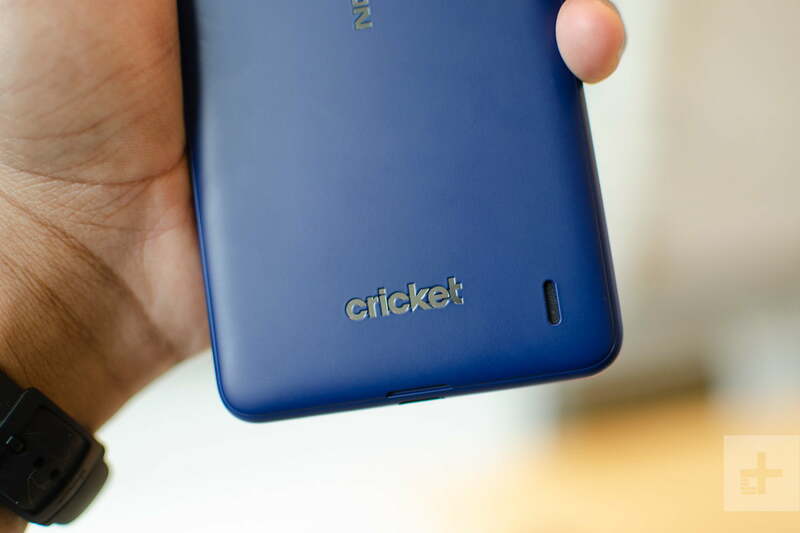 The carrier-branded Nokia phones run stock Android, but we’ve already noticed the Nokia 3.1 Plus on Cricket Wireless comes with a good deal of pre-installed third-party apps. Thankfully, these are all uninstallable. More importantly, however, the lack of Android One branding means these phones may not get the latest version of Android — or security patches — as quickly as Google releases them. HMD doesn’t think we need to worry. “We work with all of our partners, from manufacturers to carriers, to bring updates to our devices as quickly as possible,” Angelone told Digital Trends. But as we’ve seen over the years, Android updates delivered through carriers and manufacturers (that aren’t Google) have often fallen to the wayside, arriving several months if not a year after Google has released a new Android version. HMD has maintained a good track record with most of its phones so far — just look at our Android 9 Pie update tracker and you’ll see HMD has brought the update to numerous phones already, with more to follow in the first quarter of 2019. We’ll have to take HMD’s word for now and hope it delivers these updates alongside carriers at a similar pace as its Android One phones. 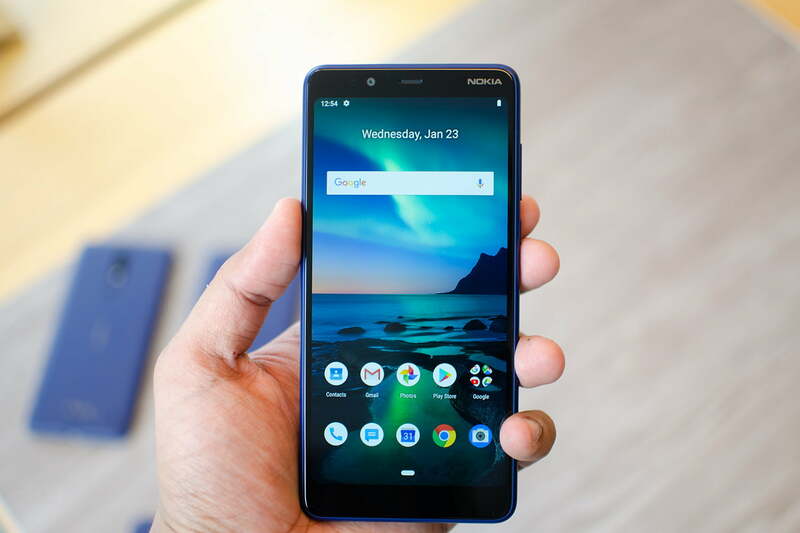 What’s promising is the Nokia 3.1 Plus is launching with the latest Android 9 Pie version, and it just may be the cheapest phone with it yet. The phone itself looks quite basic, with a plastic back and aluminum frame. It has an IPS LCD 5.5-inch screen, with a 1,280 x 720 resolution and 16:9 aspect ratio, along with dual speakers with stereo sound for a decent movie-watching experience. It’s powered by Qualcomm’s Snapdragon 425 processor, with 1GB of RAM and 8GB of internal storage. Thankfully, there’s MicroSD card support that lets you expand space up to 128GB. There’s a single camera on the rear that has 8 megapixels packed in, along with a 5-megapixel fixed-focus selfie camera. 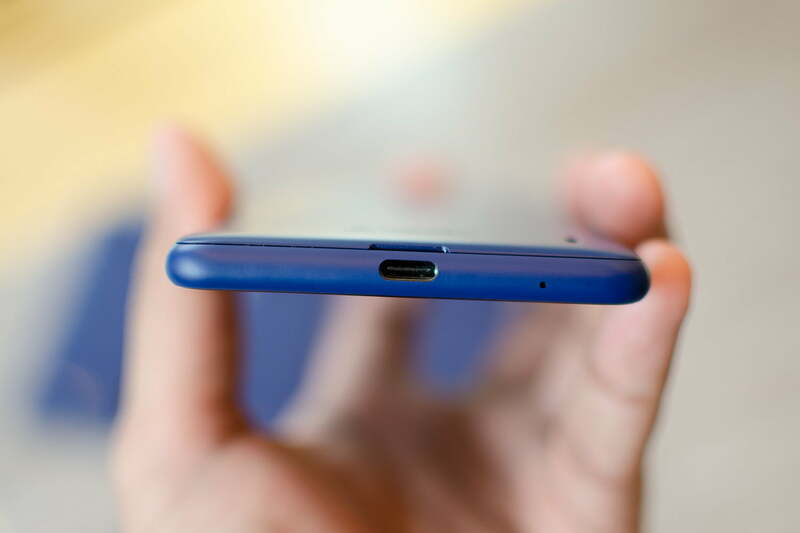 You’ll be happy to hear there’s a headphone jack, but sadly HMD is sticking with MicroUSB for the charging port instead of USB Type-C, which is far more universal. There is no NFC, so you won’t be able to make contactless payments with Google Pay. On the bright side, there is a 4,000mAh battery packed in, and considering the rather low-power specs, it should mean the Nokia 2V should last for a long time before it needs a recharge. HMD claims two days of life, specifically. There’s fast charging here so you can juice up quickly. These specifications are quite similar to the Nokia 2.1, which released internationally last year. The Nokia 2V comes in blue and silver, has a Verizon logo on the back, and is available now in Verizon stores and Verizon.com. It costs just $70. The Nokia 3.1 Plus is the most interesting phone of the lot, as it seems to offer genuinely strong features for an unbeatable, low price. While a similar variant of this phone is sold internationally (with a MediaTek processor), you’ll only be able to buy this one in the U.S. through Cricket Wireless, a mobile virtual network operator (MVNO) owned by AT&T and operating on its network. A 5.99-inch IPS LCD screen sits on the front, with HD+ resolution (1,440 x 720), and an 18:9 aspect ratio. The bezels are a little more slimmed down than the Nokia 2V, and it comes in a blue color. Inside is Qualcomm’s Snapdragon 439 processor with 2GB of RAM and 32GB of storage. There is a removable plastic back, but sadly it’s not to replace the battery. Instead, remove the back to insert the SIM card and MicroSD card, which lets you expand storage space up to 256GB. On the back is a dual-camera system — one 13-megapixel lens is paired with a second 5-megapixel one. You’re able to use HMD’s Live Bokeh feature thanks to the dual camera setup, which is similar to Apple’s Portrait Mode. The front camera has 8 megapixels. Software-wise, this phone runs the latest version from Google — Android 9 Pie — and HMD said it will work with Cricket Wireless to ensure timely version and security updates. It’s stock Android, but there are third-party apps pre-installed (that you can delete). NFC is onboard here, which is rare to see on phones in this price range. That means you can use this phone to make contactless payments via Google Pay. There is also a fingerprint sensor on the back for additional convenience and security. It’s a USB Type-C charging port on the bottom, and the phone packs a 3,500mAh battery, which HMD said should last for two days. The Nokia 3.1 Plus is available now from Cricket Wireless stores and online for just $160. The Nokia 2.1 on Rogers is the same international version we’ve covered before, but with branding specifically for the Canadian carrier. It will be available in the first quarter of 2019, likely around March.